I had not done colorwork before, so wanted to try my hand at it. One look at my aunt-made baby vest, I just had to do fair isle. 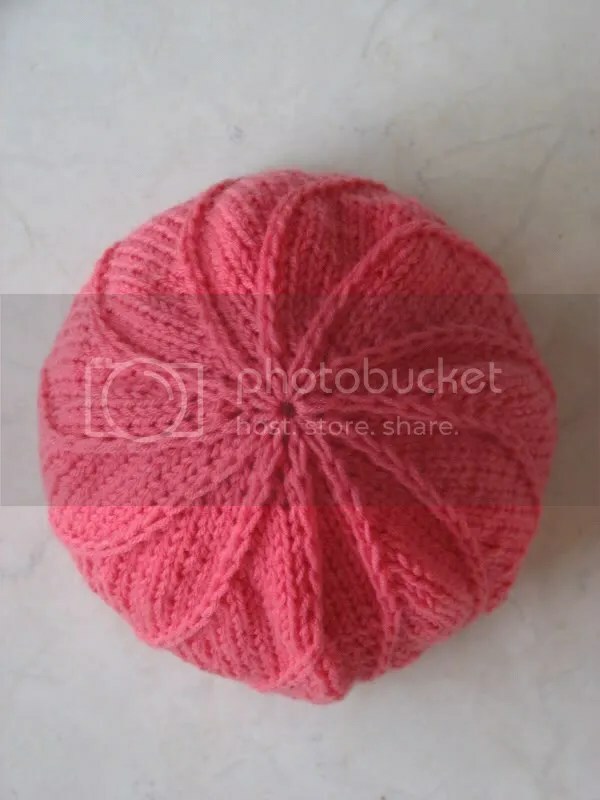 The technique results in an eye-catching, colorful knitted item which looks complicating to knit, but in fact is too easy. 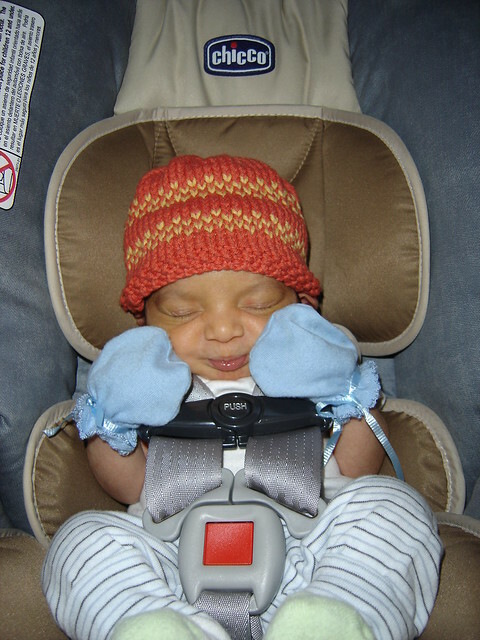 I adapted the colorwork chart of David\’s hat for my baby hat. Fair isle is addictive. You just can\’t stop after knitting one row. You complete one row and at stare the beautiful pattern emerging and want to knit more to see how things turn out. I enjoyed it so much that I want to knit something big using fair isle. 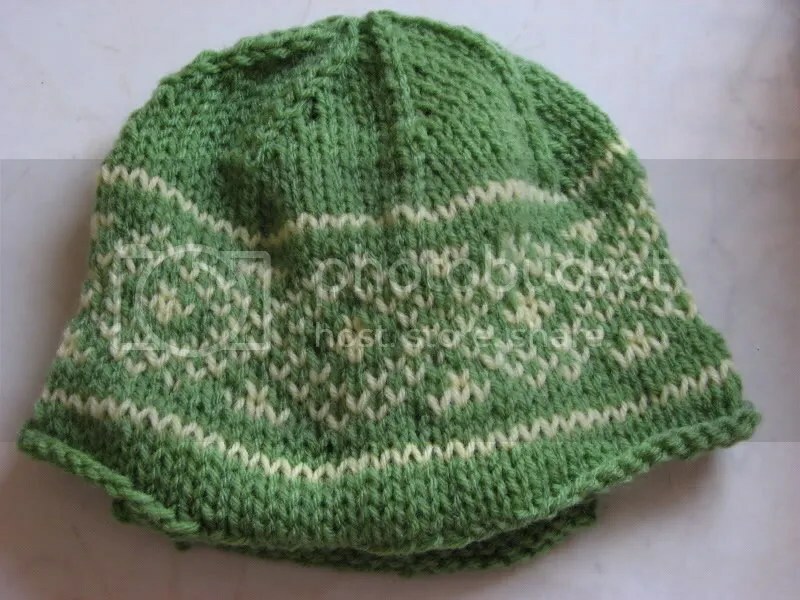 Another hat I made was part of test knitting. The pattern looked too cute to resist. Melissa has created a beautiful pattern using simple techniques like slipped stitches and cables. The twists that go around the hat look very attractive. Both hats made in round using our standard acrylic 4-ply yarn and 3.00 mm needles. What great hats! I’m new to Fair Isle knitting too, and as you say, it’s certainly addictive! Wow, those are some nice hats. You did a great job! Nice hats! Did you just make up the pattern? Mine looks pretty similar to yours, not as neat maybe.